Good news for those readers who prefer the feel of paper in their hands. A number of McClure titles that have long been out of print and, therefore, only available in digital formats, are now, once again, available in paperback, exclusively through Amazon. The Steven Dunbar thrillers are proving enormously popular in countries all over the Russian Federation with Ken spending an afternoon each week replying to email questions and requests from enthusiastic readers. 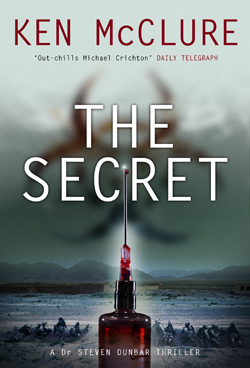 Electronic versions of THE SECRET are now available on all platforms although a paperback of this title has not been released. All 24 of Kenâ€™s titles are now available as e-books on all popular platforms. Italian publisher Miraviglia Editore has released the first two of 5 McClure titles contracted for in the Italian language. They are PESTILENCE and Il CONDICE DI PANDORA. Both are available as paperbacks and e-books. Hypocrates Isle was published in paperback this month. Italian publisher MIRAVIGLIA EDITORE S.R.L. has contracted to publish five McClure titles in Italian. We'll post soon on what titles are to appear, and in what order. 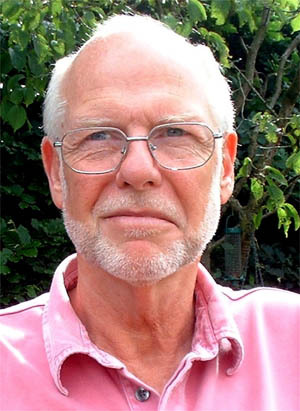 Ken McClure will be reading at Carnoustie Library on Saturday June 1st – Angus Libraries Reading Group Day. 2-3.30pm. A paperback of Hypocrites' Isle will be released by Birlinn/Polygon in May. The big news for Steven Dunbar fans is that the new Dunbar thriller, THE SECRET, the 10th title in the series – will come out in the Autumn. More details soon! July 2012 has seen the publication of Lost Causes in paperback. All 23 McClure titles are available as Amazon Kindle books, and 17 have been made available on Kobo, with the remaining titles to be made available by the end of 2012. And, a word to the wise, negotiations are curently underway regarding publication of a new Dunbar thriller, The Secret. More soon! In response to a wave of enquiries relating to the Steven Dunbar series we have added a new page which lists all Dunbar titles in order of publication. Click here to see the full list. The publication date of Lost Causes has been changed to June 1st, as will the appearance of the paperback of Dust to Dust. The big news to kick off 2011 is that LOST CAUSES, the ninth Steven Dunbar thriller, will be published by Birlinn/Polygon on May 1st. The publication of the new title will co-incide with the release of the paperback edition of Dust to Dust. Two early McClure titles, Pestilence and The Anvil are now available in the UK and the USA as eBooks in Amazon's Kindle store. More titles will appear in this format throughout the year. Dust to Dust the latest Steven Dunbar thriller, published by Birlinn/Polygon is now available in hardback. New paperback editions of Donor and Wildcard have also recently been published. 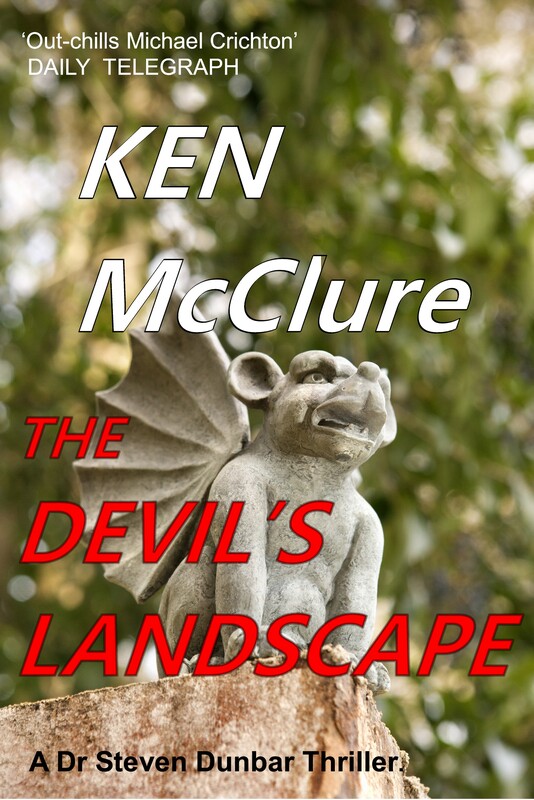 Ken McClure will be appearing at Brookwood Library, Bearsden, Scotland on March 22nd at 2.30pm. The hardback edition of White Death has sold out. A paperback edition will be published by Polygon on November 1st. 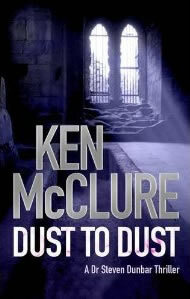 Look out for Steven Dunbar's eighth outing in the new McClure thriller, "Dust to Dust " due for publication in May 2010. This date will also see the republication of the first Dunbar thriller, Donor. With further reprints from the series to follow. White Death, the new McClure chiiler, featuring Dr Steven Dunbar, will be published by Polygon on June 4th! Publication has been delayed on the paperback edition of Hypocrites Isle - more soon! WHITE DEATH, the new McCLure thriller will be published by Polygon in the summer! Hypocrites Isle was published last month by Birlinn/Polygon. Ken recently attended the Prague Book Fair as the guest of his Czech publisher, Alpress, where the Czech language edition of The Lazarus Strain was launched and is currently in the Czech best-seller lists. The English paperback of The Lazarus Strain is due out in the UK on July 31st from Allison & Busby. reading tour of the Scottish Highlands during October. The Lazarus Strain was released in June in the UK by Allison and Busby both in hardback and 'airport' paperback. USA editions of The Lazarus Strain and Past Lives will appear in August 2007. "His (Ken McClure's) medical thrillers out-chill both Michael Crichton and Robin Cook." Telegraph. The Gulf Conspiracy is now available in the USA and Canada - published by Bolinda Audio. (CDs). 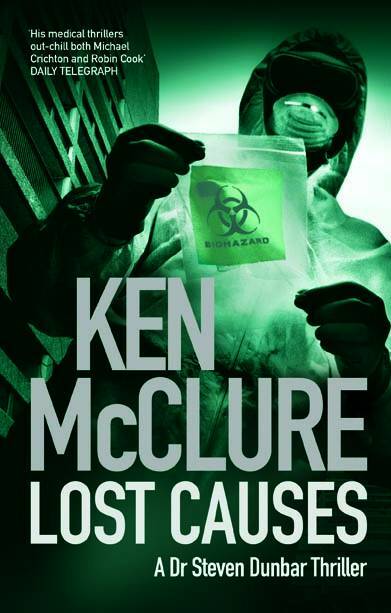 Ken McClure is the internationally bestselling author of medical thrillers such as The Lazarus Strain, The Gulf Conspiracy, Eye of the Raven and Past Lives. His books have been translated into over 20 languages and he has earned a reputation for meticulous research and the chilling accuracy of his predictions. McClure's work is informed by his background as an award winning research scientist with the UK's Medical Research Council.